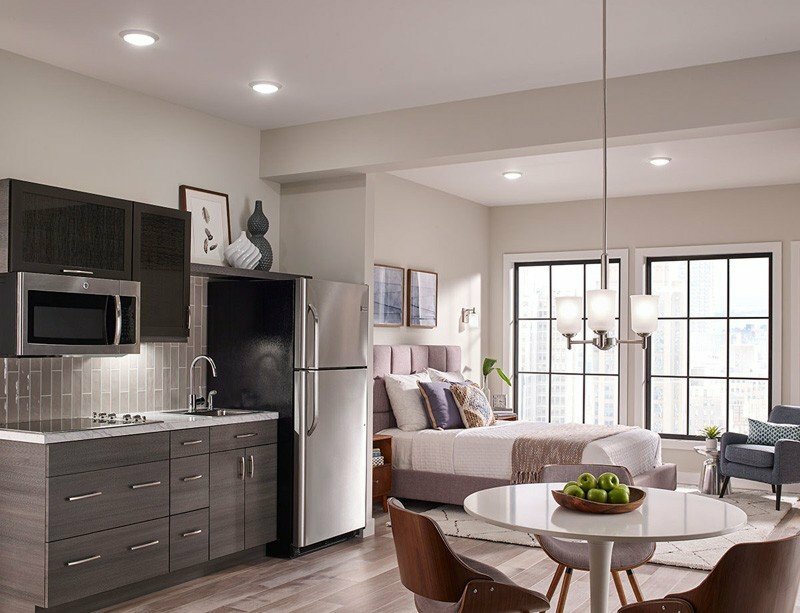 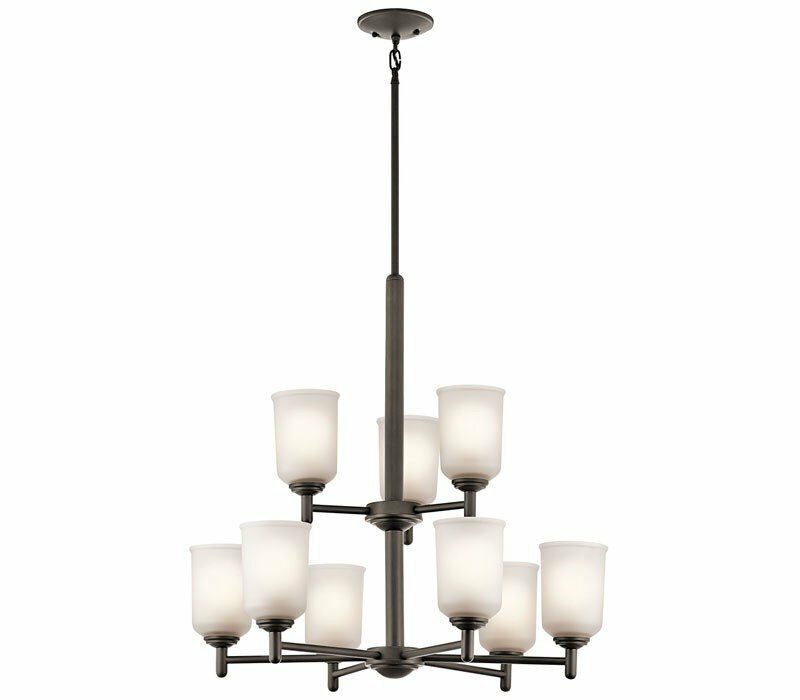 The straight lines and up-sized satin etched glass of this Brushed Nickel 5 light chandelier from the Shailene Collection create the perfect casual look for the updated urban lifestyle. 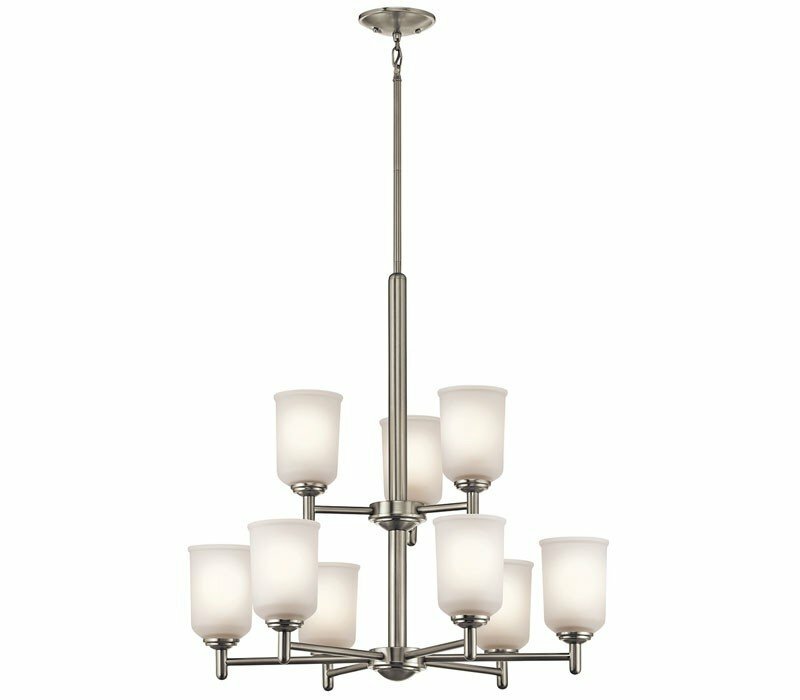 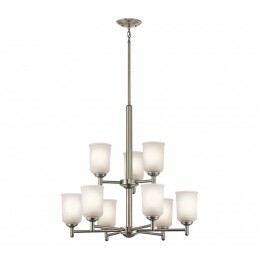 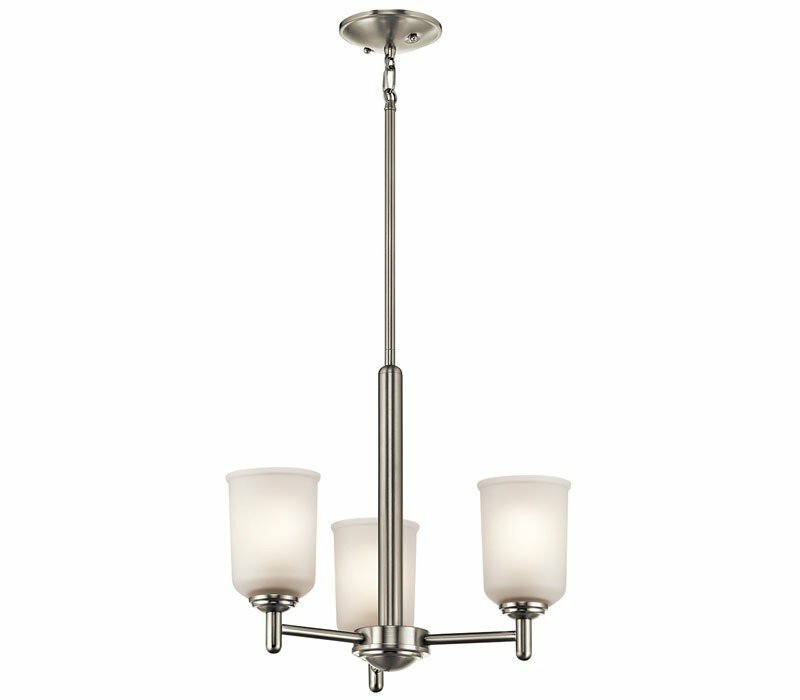 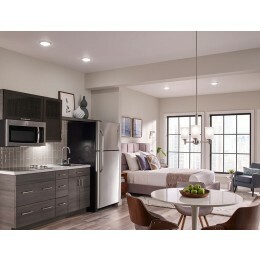 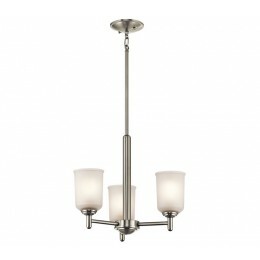 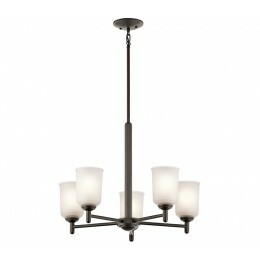 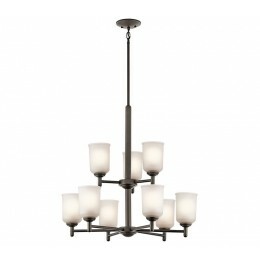 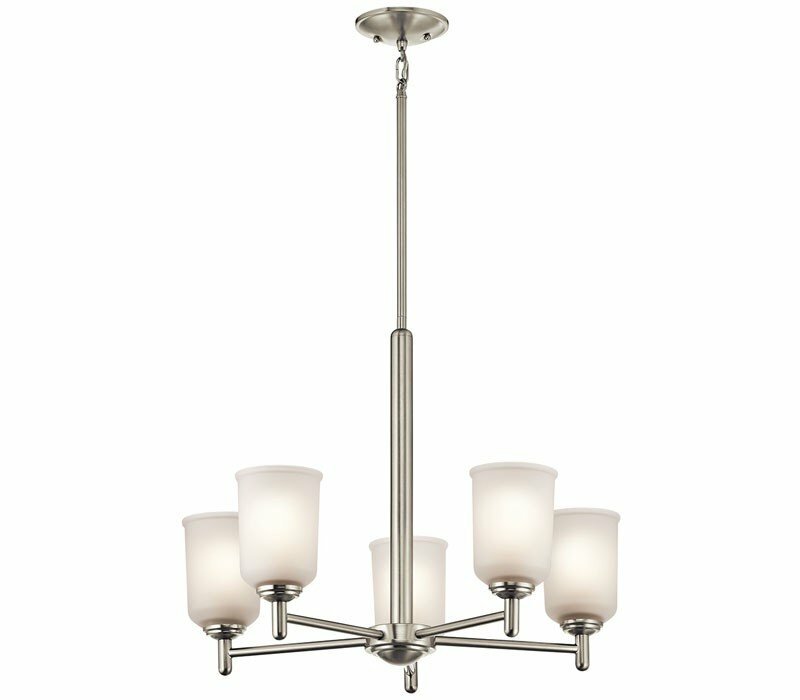 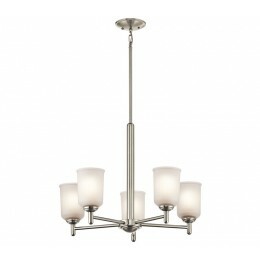 The Kichler 43671NI Shailene collection Chandelier Lighting in Brushed Nickel uses Incandescent light output and brings Contemporary style. 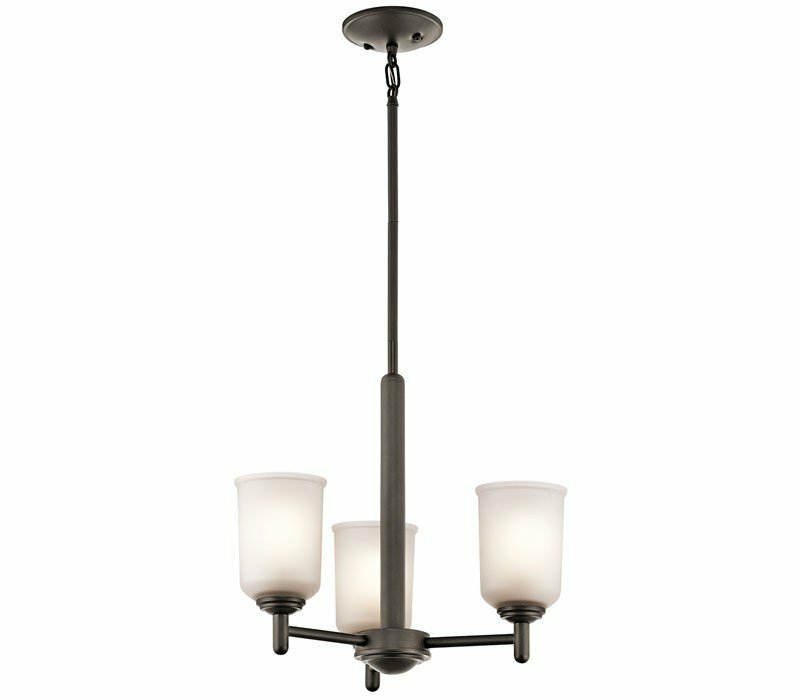 This item is 18.25"H x 23.5"W. The total wattage is 500 and the voltage is 120 volts. 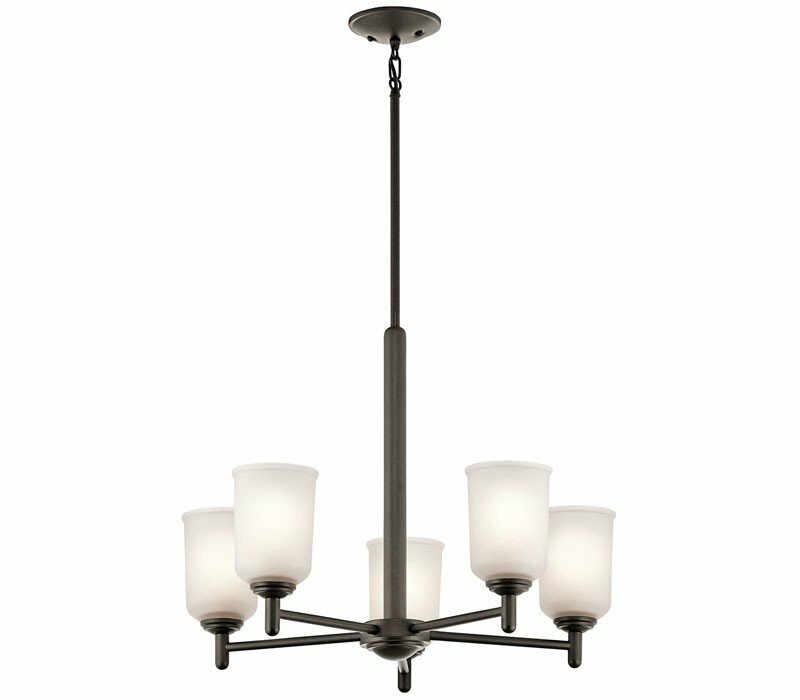 The Kichler Lighting 43671NI requires 5 bulbs (not included). Additional Information: Shade-Satin Etched Glass.